A noticeable decline in ground-breaking in British Columbia led to a more moderate number of housing starts in Canada last month, according to the latest figures from the Canadian Mortgage and Housing Corp. (CMHC). In a Reuters report published by BNN, the CMHC data released on June 8 showed that starts across the country fell short of expert projections for 190,000 units last month. May starts sat at 188,570 units (seasonally adjusted annualized number), down from 191,388 in April. Vancouver saw a slight decrease in condominium construction, a development that has fueled fears of a correction in the near future. British Columbia starts last month slowed down to 35,312 units. CMHC chief economist Bob Dugan said that devalued oil continues to hit petro-producing provinces hard as starts in the prairie region fell last month. Multiple starts also declined in leading urban markets, including Toronto. 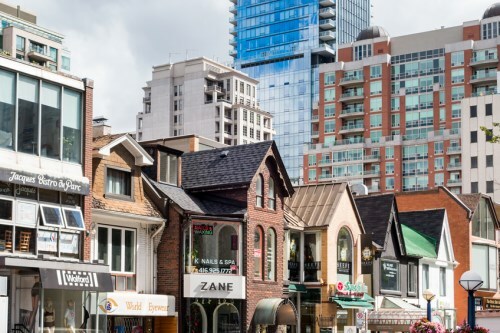 Meanwhile, recent Statistics Canada data revealed that the value of building permits weakened by 0.3 per cent in April, after a significant 6.3 per cent drop in March stemming from a lower number of planned projects in Ontario. “The key themes in Canadian residential construction remain tucked well below the national surface. That includes regional shifts in the wake of the oil price shock, and ongoing densification in Toronto and Vancouver,” BMO Capital Markets senior economist Robert Kavcic observed.